A one-time, non-refundable registration fee of S$321 (inclusive of GST) is payable upon registration. For preschool programmes , a refundable security deposit fee equivalent to one month programme fee is required. For kindergarten programmes, a refundable security deposit fee of $1,000 is required to complete the registration at Chatsworth Preschool. The security deposit will be refunded once the child has completed his/her preschool education at or withdrawn from Chatsworth Preschool, subject to terms and conditions. The school fees for the different programme levels are as follows. 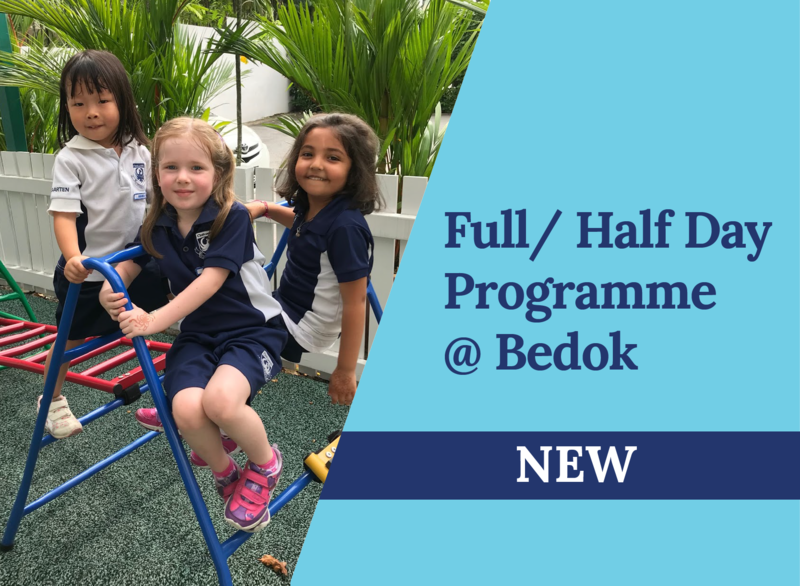 Fee for Kindergarten programmes are payable on a term basis, before the commencement of each term. There are four terms per calendar year. There are no further charges for materials (books, stationery etc). If you wish to tap on your Child Development Account (CDA) to pay for the fees, please obtain the relevant forms from the Office. 2 week trial is available for all Preschool programmes. Fees are payable on a monthly basis and eligible working mothers enjoy government subsidies on Preschool programmes. If you wish to tap on your Child Development Account to pay for the monthly fees, please obtain the relevant forms from the Office. All payments must be made in Singapore dollars in the form of cash, cheque, bank transfer or GIRO arrangement. Please make cheque payable to Chatsworth Preschool and mail it to Accounts department, 37 Emerald Hill Road, Singapore 229313. Please email to finance@chatsworth.com.sg if you would like to pay by Paypal. A payment link will be forwarded to your email address. Please be advised that there is a 2.5% admin fee. You do not need to have a Paypal account to make payment.